Everyone's favorite "This Is Us" couple has it out in Season 3's penultimate episode, and the actors share what they think the episode is really about. Anyone who’s been keeping up with “This Is Us” knew Episode 17, “R & B,” was going to be a knockdown, drag-out fight, but they may not have expected to see such a scrupulous assessment of male privilege. 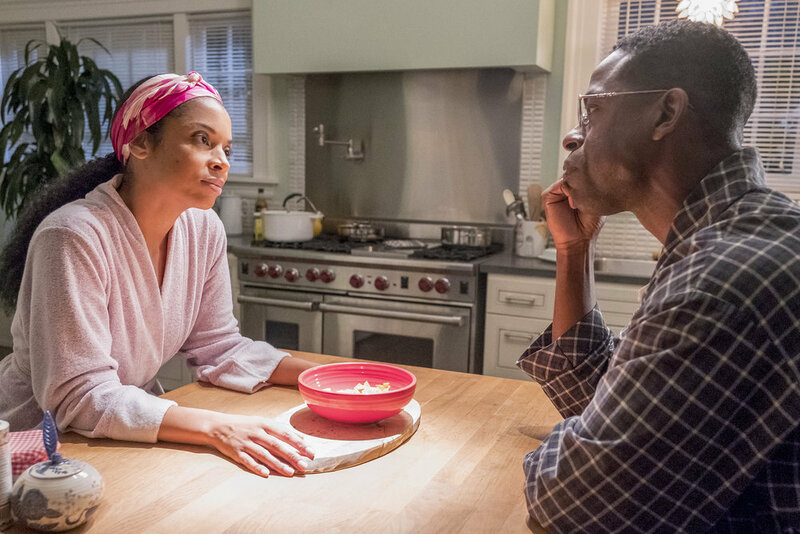 Yet writer Kay Oyegun’s entry is a savvy culmination of the series’ offscreen efforts to elevate Susan Kelechi Watson’s character, Beth, and her onscreen issues with Randall. Far more than a magnificent showcase for two magnificent actors, “R&B” isn’t just about checking Randall’s privilege, but solidifying Beth’s autonomy. For everyone who isn’t caught up, let’s take a step back: Last week’s episode ended with Randall (Sterling K. Brown) returning home to Beth (Watson) and declaring they’re going to settle their long-simmering disputes right then and there. She’s working nights and weekends as a dance instructor, while he’s been elected to public office… in Philadelphia. Their incongruent schedules have caused some tension; tension which boiled over when Beth was late to an important dinner, and Randall left a heated voicemail belittling her rediscovered passion. So when the beloved husband and father walked in with a head of steam and slammed the door, the stage was set for an hourlong examination of one of television’s favorite marriages — from the frightening new perspective that it’s failing. At hour’s end, the eponymous initials were no closer to reconnecting than when R and B first started airing their grievances. Randall is on the couch in Philly, hurt by Beth’s cold dismissal of his anxiety attacks, and Beth is still simmering from a million minor slights that became a lifetime of her playing the supportive wife. For all the flashbacks to Randall’s many proposals and the couple’s emotional wedding day, “R & B” is built on the back of one problem: privilege. 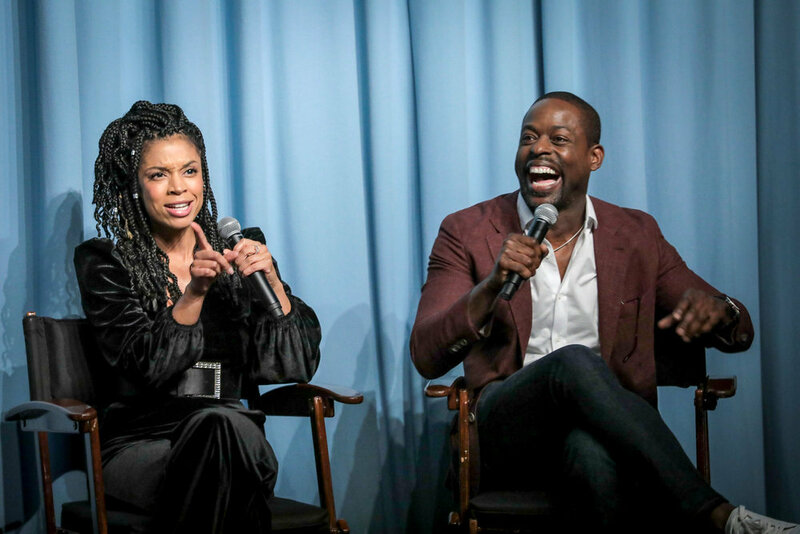 Speaking at a private pre-screening event in West Hollywood, actors Sterling K. Brown and Susan Kelechi Watson broke down their perception of the hidden hitch in R&B’s giddy-up. Brown took it a step further, stopping short of taking Beth’s side flat-out, but pointing to a similar situation in his own marriage: when he promised to be the stay-at-home dad before his acting career took off — and took him away from his family. Brown is acknowledging the persistence of an outdated and sexist convention that’s nevertheless hard to shake: that the man of the house will go out and provide for the family, while the woman is expected to take care of the home. Admittedly, both Beth and Randall work, and both Beth and Randall spend time with the kids, yet those lingering historical standards can manifest in unexpected ways, even in progressive households striving toward true equality. But so far, Randall is unwilling to step down as lead guitarist. Episode 17 shows him rejecting Beth’s argument that she’s been “steamrolled” by him. He thinks she’s just picked the wrong time to follow her dream, and he could’ve been supportive if she’d wanted to pursue a career in dance prior to his new gig in Philadelphia. Watson points to patterns as part of the problem. Beth started going along with Randall’s dreamy whims and, over the course of their nearly 20-year relationship, he’s gotten used to her supporting him. It’s also important to note this is the second “This Is Us” episode in as many seasons built around a central couple’s rare blowup. In Season 2, it was Jack (Milo Ventimiglia) and Rebecca (Mandy Moore) who exploded, but their long, largely uncut argument is a far cry from what Randall and Beth go through. Despite what audiences were prepared for, most of “R & B” isn’t a fight. It’s flashbacks. The fight bookends the episode and drives the story forward, and its raw power (courtesy of the choice words and the people saying them) is what most will remember. Still, the flashbacks are there to reassure us Beth and Randall will be OK, as creator Dan Fogelman has promised all along. It’s up to Watson and Brown to convince us they might not be, and the performers do an immaculate job drawing their characters through decades of love and pain. “R & B” may not be as flashy as last year’s play-like fight, but it’s more nuanced, searing, and important. The “This Is Us” team didn’t coast with everyone’s favorite couple; they dug in, made changes, and are on the brink of bringing their show through to the other side. By checking Randall’s privilege and building out Beth’s autonomy, they’re well on their way. “This Is Us” airs new episodes Tuesdays at 9 p.m. on NBC. The Season 3 finale is scheduled for April 2.